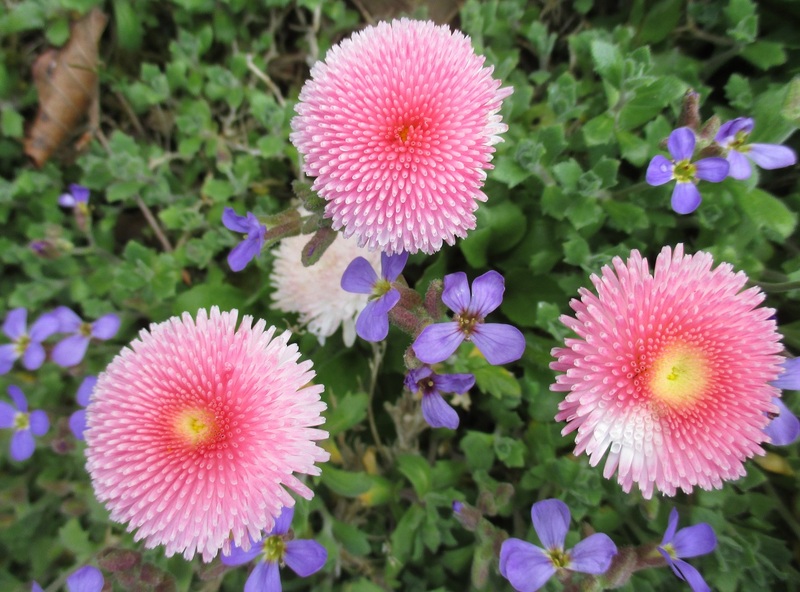 In theory these pretty-in-pink bellis are weeds. They weren’t planted amongst the aubretia, they were never an integral part of some clever or imginative scheme, they purely seeded themselves in this appropriate spot, arriving without announcement. However, as they make such an enchanting combination, in this instance we will refer to it as “spontaneous gardening”. Couldn’t they be ‘natives’? or meadow concept? Looks great? ‘Spontaneous Gardening’ – a new term to me and a wonderful one. I’ve immediately incorporated it into my everyday vocabulary. Glad you like it and glad you are back with us!